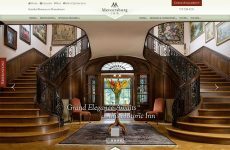 Shortly after Jumping Rocks Photography returned from a photo shoot with the Mercersburg Inn, they gave us a call to talk about this spectacular property that has been severely under marketed. When they showed me the photos of the inns, I was awe-struck and couldn’t believe that an inn of this caliber was suffering from such low occupancy numbers. 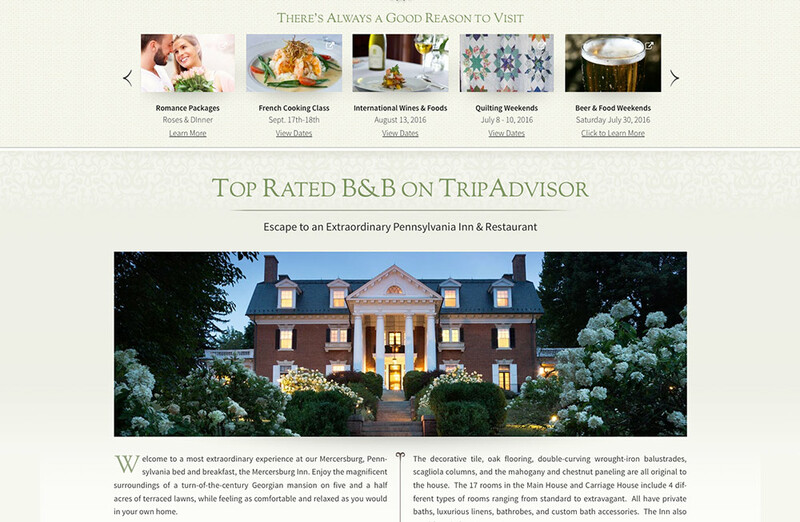 Of course, the owners felt the real challenge was in their location (which to be fair is certainly a concern) but our team knew that we could help create the Mercersburg Inn as a destination unto itself which folks would happily drive a bit out of the way to experience. 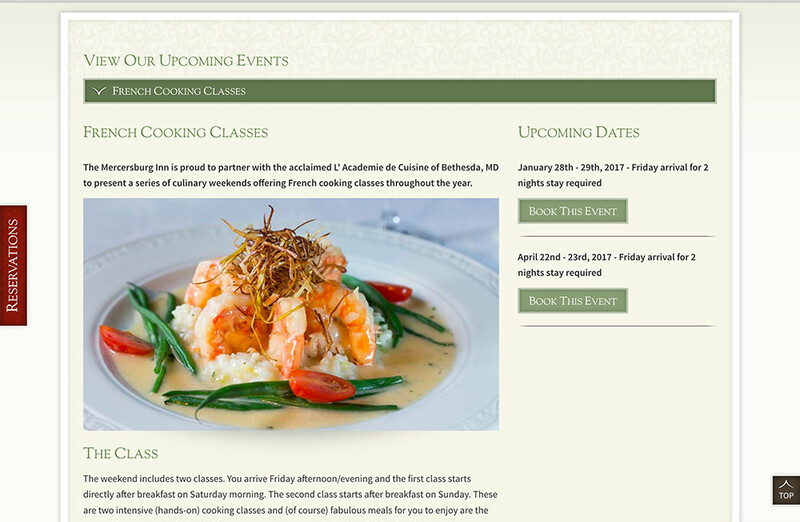 In fact, for many years, Jim and Lisa McCoy have initiated various, creative packages such as cooking classes, beer weekends and cheese making classes! 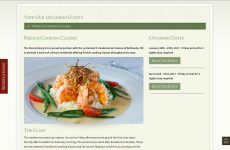 Their creativity has certainly paid off but their image online needed a huge overhaul. Fortunately, the team at White Stone quickly got to work. Our goal was to create a website that literally stunned the viewer with it’s majestic front entrance photo! 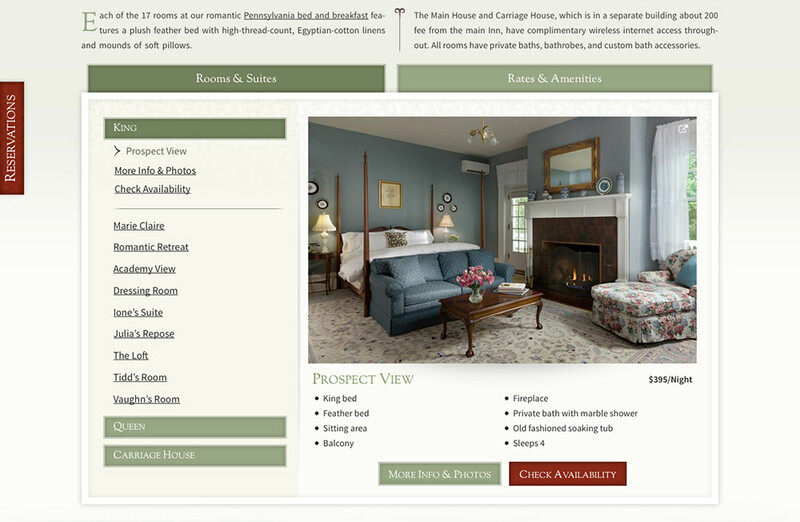 Also, as you will note, we decided to begin with a ‘packages carousel’ that would immediately showcase all of the various creative activities and packages unique to this Pennsylvania bed and breakfast. 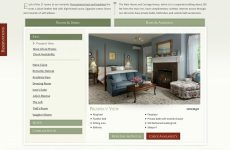 In order to accomplish establishing an inn as a destination, the website must be comprehensive, detailed, and list absolutely everything there is to do in an area. 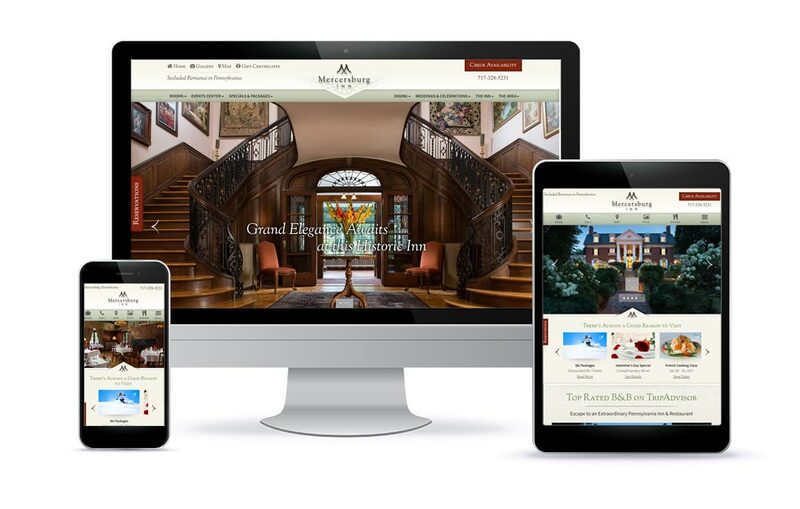 Our team pulled off a brilliant, user-friendly and truly one of a kind website design to launch Mercersburg Inn on the map as one of the most luxurious inns in the White Stone portfolio. 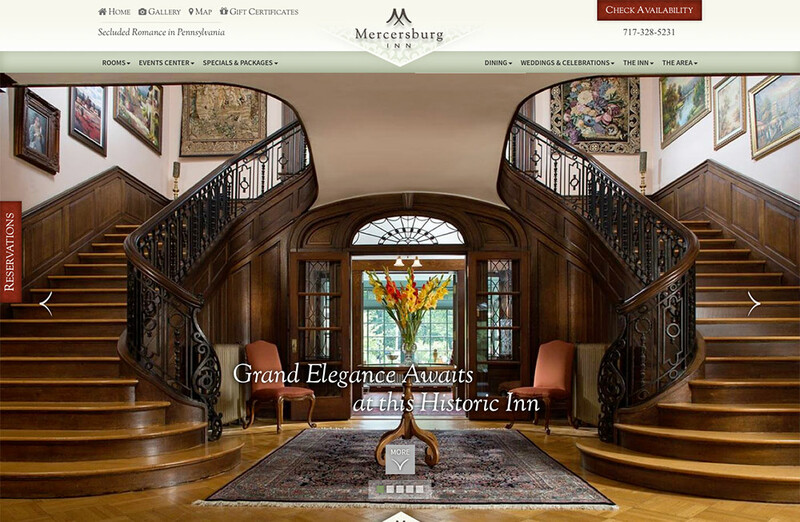 Thank you for letting us be a part of the Mercersburg Inn Total Makeover Design!